Synopsis: Flashing between past and present, a fractured family confronts haunting memories of their old home and the terrifying events that drove them from it. 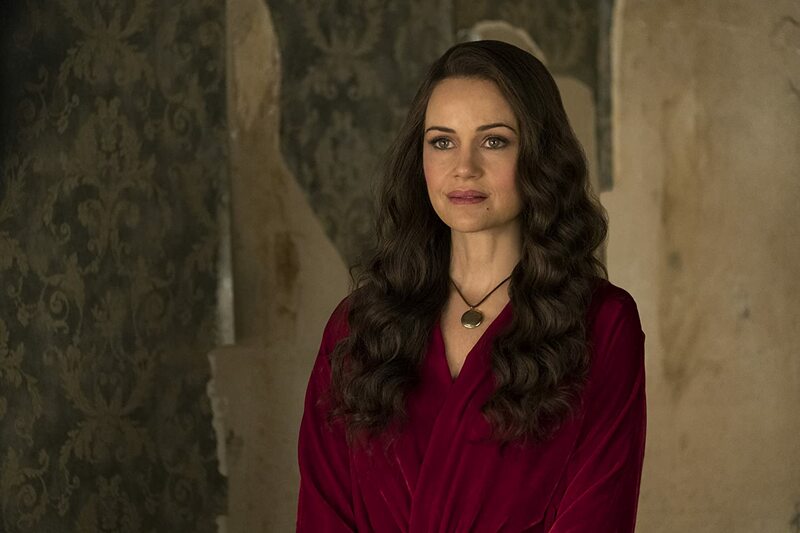 The Haunting of Hill House is the adaptation of Shirley Jackson’s 1959 gothic novel of the same name, and whilst it doesn’t follow the classic book to the letter, it definitely singles itself out as one of the best horror shows of all time. I’m not even exaggerating. Ghost stories, especially those relating to haunted houses, tend to be all the same – an overuse of jump scares and very little substance, but this was something else entirely. Yes, there were eerie spirits that made loud, abrupt noises and sudden, ghastly appearances, but they weren’t relied upon to tell the overall story. They simply complimented something much, much more. One thing I love about the genre of horror, is that it has a great deal of potential. With this potential, it can incorporate emotional depth, as well as make you sit back and think about the journey that is life. This is exactly what this masterful series accomplished. It zoned into the characters, exposed their raw pain and shone a blazing light on their individual struggles. Each episode was akin to a case study; selecting one person to intimately follow, and from there the watcher bears witness to their side of events, both past and present. I won’t hold back the truth – I, at times, found it difficult to keep my composure in check. The topics dealt with by the complex Crain family were heavy, putting emphasis on loss, suicide, mental illness and addiction. There were truly powerful, heartbreaking scenes that were all the more incredible due to the outstanding performances by the cast. Carla Gugino as Olivia in particular, depicted such a phenomenal representation of motherhood and the fears that come with it. Of course, each and every one of the characters had something meaningful to contribute, and the spotlight was generous on giving them their time. The house itself was a puzzle, an entity, oftentimes breaking the rules of time and space. I was fascinated by the artistic direction, and the gloomy atmosphere surrounding it. I, once or twice, noticed subtle horrors – from a figure in the background, out of focus, to the slight change of a statue in-between shots, but I know I didn’t catch everything. If I looked away for a moment, I probably missed some hidden element. I’m gushing – of course I’m gushing. For me, this was perfection all round. This was done right. All I can hope for is that Netflix doesn’t sully this jewel with a sub-par second series. 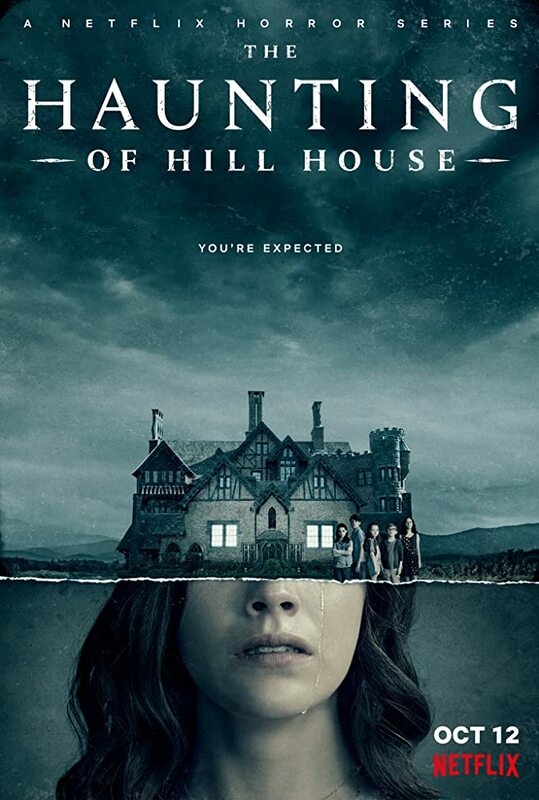 Hill House, and all its inhabitants, should be left alone. Oh yay I’m so glad it’s as good as it looks! This is next on my to watch list!! I thought the promo looked amazing!! You’ll LOVE it, Lesley! If only there was more like this. Just make sure you’ve a few hours to spare, I found it impossible to watch just one episode at a time! We have finished it yesterday! It was amazing, I absolutely loved it! I knew you would! If only I could go back, watch it for the first time. Oh wow, I need to start watching this! Thanks for the review, I’ll definitely check it out.